The best page for Capital Grille menu prices! Capital Grille Restaurant is an upscale steakhouse that is nationally renowned for serving dry-aged steaks, fresh seafood, and world-class wines. The Capital Grille menu also offers appetizers, soups, and salads. Each location has been designed to provide customers with a refined atmosphere. Some of the locations include unique architectural or design features. The Capital Grille offers a lunch & dinner menu during the week and dinner only on weekends. A compliment of handcrafted desserts is available and for those looking for something different, check out the Chef’s Suggestions menu. Below are the latest The Capital Grille menu prices. Reservations are strongly recommended especially if you are celebrating a special occasion or dining as part of a large group. You can reserve by calling the location directly or by reserving a table directly through The Capital Grille website. Reservations are not required and they will do there best to seat you when you arrive. Handing out The Capital Grille gift card shows you care. Deciding to give one was simple. You can purchase traditional gift cards and have them sent via complimentary postal service or you can send an e-gift card which will be delivered to the recipient’s email instantly. A great way to stay connected and learn all the latest news about The Capital Grille is to join their Insider program. Sign-up is quick and free and you will be one of the first to learn about new menu items and upcoming events. Head over to The Capital Grille official website to sign-up. A private room with a custom menu and dedicated staff. That’s what you get when you choose The Capital Grille to host your next social or group event. The Capital Grille will make your next event memorable. Contact your favorite location or submit your request online and someone will contact you to discuss. The Capital Grille wants every guest to enjoy their meal. A complete guide is available detailing nutritional information, calories, and more. For guests with gluten sensitivity, The Capital Grille offers a special gluten sensitive menu that can be found online or requested at the restaurant. Just because The Capital Grille is well-known for their steak dishes, every guest is welcome. If you have special dietary restrictions, let your server know and The Capital Grille will try and accommodate you. If you are dedicated to pursuing a career in the culinary arts or thrive on providing superior customer service, then The Capital Grille is perfect for you. Visit the Career page on The Capital Grille website to view current management and hourly openings. Capital Grille was established by Edward Grace III in Rhode Island in 1990. Through hard work, dedication, and commitment to serving the highest quality food, Grace was able to expand to seven locations. In 2007, The Capital Grille restaurant chain was acquired by Darden Restaurants Inc. Today, there are over 50 locations across the U.S. The Capital Grille is a wholly owned subsidiary of Darden Restaurants. Darden is a publicly traded company with headquarters in Orlando, FL. 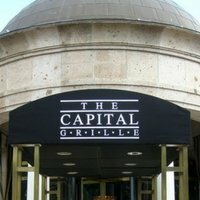 For more information about The Capital Grille, visit their official website. I am thinking about having my 50th birthday dinner at Capital Grille. I have not eaten here, however, everyone that I’ve talked to said that the food was fabulous and so was the service. Did you eat at The Capital Grille in Charlotte, NC or a different city? would love to taste a $21.00 glass of wine. it HAS to be good! Just went to a 75th birthday party at the Rolling Meadows, IL location and the food was fabulous!